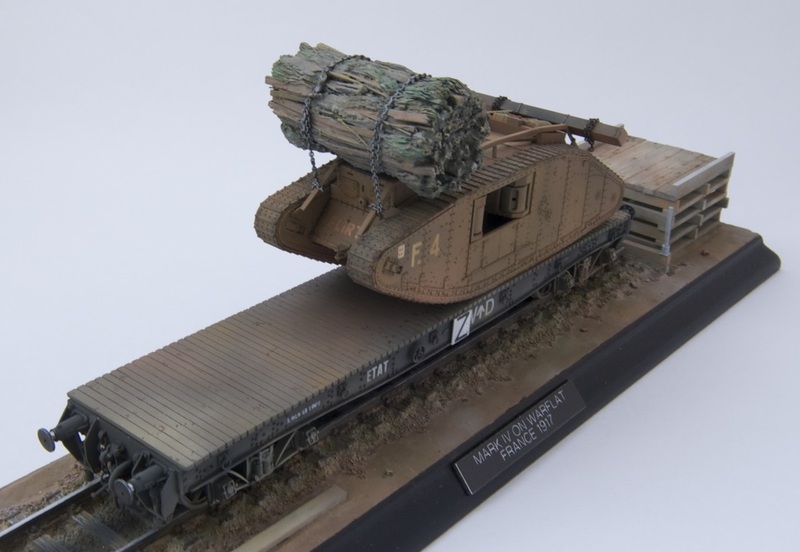 As WW1 tanks were slow and mechanically less reliable than later machines, much use was made of railways to carry the vehicles from their depots to start lines for attacks. Specially strengthened wagons called warflats were used. The tanks were loaded on to the warflats from wooden or earth ramps. 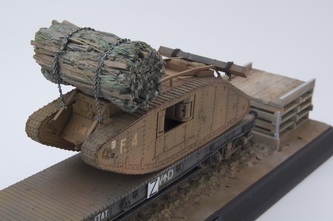 For more information on warflats see Tankettes 46/4, 46/5, 47/6 and 47/5 for a review of the Retrokit WW1 Pollwagon.